To Arm Rest or Not to Arm Rest… This is the Dilemma! Perhaps one of the most controversial ergonomic actions in the workplace is whether to use armrests or not. I see many employees with chairs that previously had armrests but now do not. When I ask where the armrests are, the employee typically states, "The last ergo evaluator told me to remove them." To which I ask if that was helpful? Typically, employees report continued problems despite this action. The question is why remove them? Is it necessary or helpful to use armrests with computer use? Is it bad to use chair armrests? There are many myths and half truths around the use of armrests. In this blog, I separate fact from fiction and help identify whether armrests are truly helpful or harmful. Historically, armrests have been on chairs for hundreds of years. 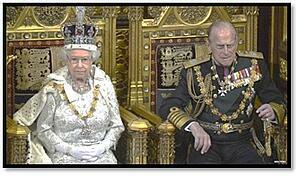 Think back to the King and Queen’s throne where their typical sitting posture always included the use of armrests to rest the upper extremities. Typically, the Board of Directors all sit at the board room table in chairs with armrests. Or the chair at the head of a table often has armrests. In these cases, armrests act as status symbols for executives or the head of the household. So, if they are bad for us, why would we be using them for so long for hundreds of years ingrained in our culture? Recent research in the last 25 years has validated the importance and use of armrests at a computerized work station. The research is quite clear on the value of armrests and in my clinical ergonomics experience, they are critical and important in the prevention of musculoskeletal disorders to the upper extremities. But there is one caveat… THEY MUST FIT TO BE BENEFICIAL! 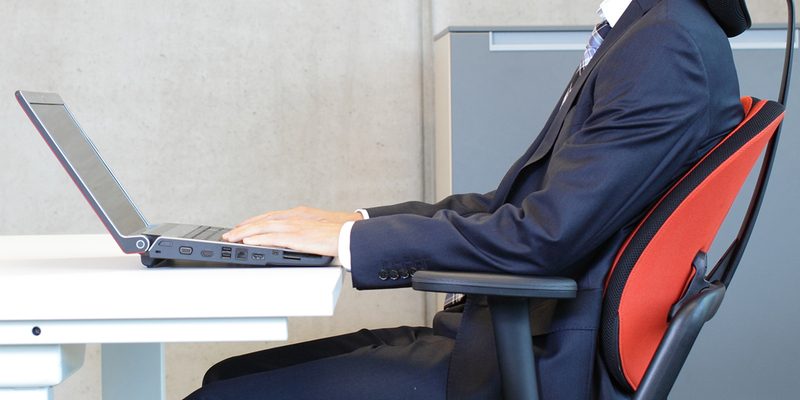 The research cites a number of studies justifying the benefit of armrests with computer use. To ease the load placed on the back by the weight of our arms and hands. If we are to use our hands to carry out an activity, some form of support can in many cases reduce the strain on the muscles that results from holding our hands in the area where the activity is to be carried out. Having support for our hand and underarm can also provide more strength and precision for the work that is to be done. Mr. Opsvik also states too much support can also lead to passivity and can be detrimental. “When we sit we instinctively try and find a place to put our arms and if we don’t have armrests, we use our laps. But if the chair has armrests, these are a natural place to find support.” He recommends the support be vertical beneath our shoulders to take body weight off of our backs. In another study by Rani Lueder, “Impact of New Input Technology on Design of Chair Armrests: Investigation on Keyboard and Mouse,” from the 1996 Proceedings of the HFES Annual Meeting, the study investigated the effects of a mouse input device on the design of chair armrests. This study found height and rotational adjustable armrests provide superior forearm support during mouse use. For keyboard work, armrests reduced neck and shoulder fatigue. This finding validates Mr. Opsvik’s findings above in statement #2 and #3. Mouse use is a precision task and benefits from forearm support for better hand accuracy. In 1999, Ms. Lueder also wrote with Paul Allie in “Chairs with Armrests: Ergonomic Design Issues.” In this review, Ms. Leuder identifies a number of important reasons to use armrests. Relieve loads on the neck, shoulders and arms. May help promote good postures. Alleviate stress on the back by reducing about 10% of user’s body weight. Alleviate stress on the lower limbs and help to facilitate rising from a chair cutting hip forces in half. Help prevent excessive pressures on the seat. Stabilize posture and help us do our work. Dr. Alan Hedge of Cornell University wrote in 2002 for “Work Healthy” online newsletter further reiterating the benefits of chair armrests by noting how armrests can reduce the static loads on muscles of the neck, back, shoulders and arms especially when the arms are extended forward or abducted sideways. He also states that finger forces are lessened when a user’s arms are supported while keying. Dr. Hedge concurs with Lueder’s findings that chair armrests help to stabilize the body when seated and are critical in rising from a chair to reduce knee and hip joint muscle forces. Dr. Hedge also suggests with keyboarding and mouse use, armrests are not a substitute for a good quality keyboard tray system. It is acceptable to occasionally rest the arms at the elbows but be cautious of resting the forearms on the armrest for any prolonged period of keying and mouse work because this can compress the finger flexors or ulnar nerve. Armrests should be used for intermittent, light support with these tasks. Proper support of the arms while maintaining proximity to the work surface is affected by a number of chair dimensions and adjustments, including seat width, distance between armrests, armrest width, length, and height, and dimensions and movement of the armcaps. It is important to consider these factors because armrest geometry and position should accommodate various user postures and body dimensions. Although armrests are typically part of the chair, alternate methods may provide adequate support. Most employers aren’t buying chairs with fully adjustable armrests to fit even 50% of their workforce. So they remove them explaining why I often find employees using chairs without them. If armrests are fixed in position or limited in height, width, and/or pivot, then they most assuredly won’t fit correctly and can’t be used properly by a majority of employees resulting in awkward side leaning or interference so often reported. When this happens, the most reasonable action is to remove them eliminating any possible benefits reported. The bottom line is fully adjustable armrests (height, width, pivot and forward/back glide) on a good ergonomic chair are an important part of an ergonomically correct work environment promoting a healthy and productive workforce. So, next time you invest in your chairs, choose a multi-dimensional four way armrest to accommodate a majority of your workforce. Are your employees safe at their workstations? Probably not! Most people simply don’t know or understand the impact of sedentary, seated work or how to set up their workstations correctly. Office Ergonomics: Working in Comfort is a pragmatic online training program designed for any employee who sits at a workstation using a computer two or more hours a day. It's also vital for supervisors and managers, new hires, remote workers, and even your Facilities, Purchasing and IT staff. Learn more about how to start working in comfort today.